Yalantis is pleased to share that we have received great reviews from numerous client references. As a business, we value our customers and their projects. 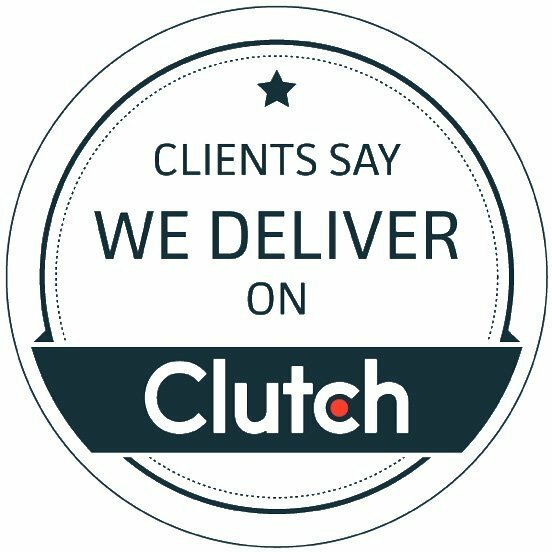 We are so happy that they value our services as well, and took the time to speak with Clutch to comment on those experiences. Clutch is a B2B ratings and reviews platform that highlights IT service providers, like us. We are proud to be featured amongst other web and app developers on their site. Clutch has a unique ranking methodology, and their backbone is built on client reviews. Although we are based in Ukraine, we have done projects across the world. Our two most recent reviews focus on very different app development projects for clients from London and Kuwait. One review was on the development we did for a telecommunications firm, building native iOS and Android apps. The second review highlights the iOS e-commerce app we developed for a social shopping platform. Building apps is our specialty, but what we love as much as producing good work, is making our clients, and their customers, happy. That is why we are excited to share some of the feedback from our references. I admire their communication. Yalantis was always available during weekends and at night. One of Yalantis’ greatest strengths is their project management processes. I always refer them to anyone who wants to develop an app. Yalantis has always been there for me, and they’re very patient. Thank you to our clients who have given their feedback on Clutch! While each project is different, we appreciate the common themes our clients pointed out about our work ethic and project management. We are always willing to go the extra mile, and pride ourselves on our responsiveness. Communication is key and we are thrilled our clients have recognized this. We are looking forward to hearing more reviews from our clients, and we are excited about our future projects.